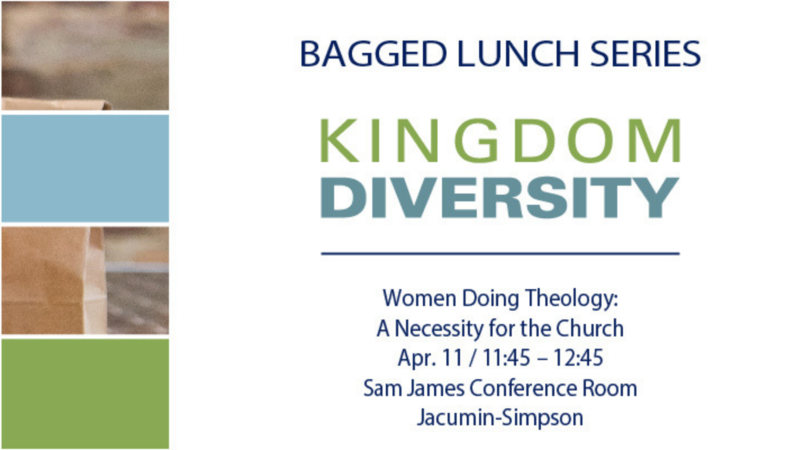 Join us on Thursday, April 11th for Kingdom Diversity’s last Bagged Lunch Series occurrence of the semester! We will be discussing Women Doing Theology: A Necessity for the Church! The first 15 people to show up will receive FREE Chick-fil-a! !